The thyroid gland is a butterfly shaped gland located over the trachea (wind pipe) just below the larynx (voice box). It is responsible for regulating the metabolism of the body. The thyroid gland normally releases T1, T2, T3, T4 and calcitonin. T4 is the storage hormone (thyroxine) that must be converted into the active hormone T3 (triodothyronine) by the body. T3 is about 5 times more potent than T4 and only T3 can enter the cell receptors. Hypothyroidism is caused by insufficient production or absorption of thyroid hormone. This may be caused by vitamin and/or mineral deficiencies, the aging process, adrenal dysfunction, or autoimmune diseases such as Hashimoto's thyroiditis. Those with hypothyroidism may look and feel older than their age because it can exaggerate the conditions associated with aging. These changes include shrinking of the body's organs and changes in the fat to muscle ratio with the result being more fat and less muscle. The decrease in lean muscle mass can then interfere with the activity of the enzyme that converts T4 into T3. Also, patients who have high stress levels can have problems converting T4 into T3. Sometimes this is due to adrenal issues which cause the patient to have either low or high cortisol levels. Cortisol imbalance can cause problems with the conversion of T4 into T3. Sometimes the T4 is instead converted into inactive reverse T3, which then clogs the cell receptors and prevents the active T3 from entering. Adequate levels of T3 are needed to regulate the body's blood sugar and so cellular hypothyroidism may also bring about mature-onset diabetes. Low levels may increase the risk of cardiovascular disease due to increased cholesterol and triglycerides, and may also contribute to high blood pressure. 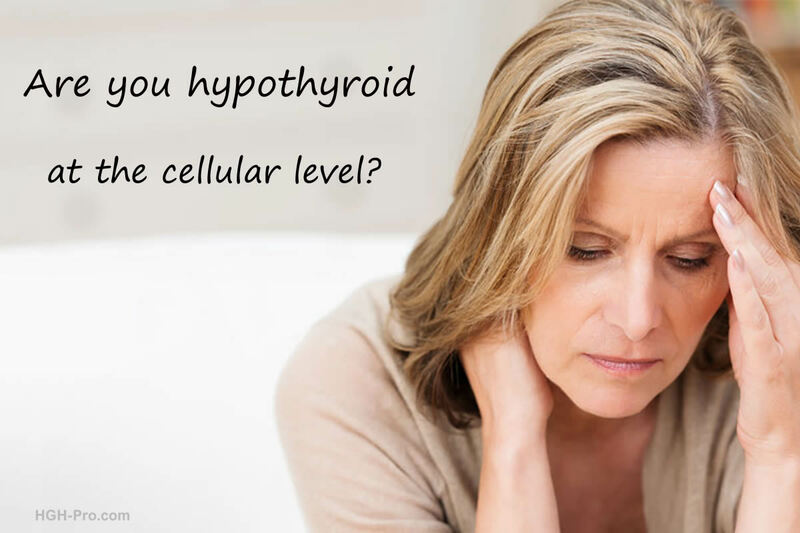 About 1 in 10 women and 1 in 20 men over age 50 will develop some symptoms of hypothyroidism. Hormone production decreases as we age, however the usual age related decrease is not considered true hypothyroidism by modern mainstream medicine. Did you know? Some people today are being treated with synthetic T4 products such as Synthroid (Levothyroxin) yet they are still hypothyroid at the cellular level due to their inability to convert the T4 into active T3. 1. When you go to bed place a thermometer next to your bed. Be sure to shake the thermometer down if it is a mercury thermometer. 2. As soon as you awake, place the thermometer under your arm in your armpit for about 10 minutes. Be sure to check your temperature before you move around much because an increase in your activity can cause an increase in your temperature. 3. Record your temperature this way for 2 days. If your temperature is below 97.8° to 98.2° for two consecutive days, you may be hypothyroid. 4. Women should wait until after the first day of their menstrual period before taking this test. *If your Barnes Basal Temperature test is positive you should take the results to your private healthcare provider and request he/she check you for hypothyroidism. Many doctors only order a TSH (thyroid stimulating hormone) level when checking thyroid function. However, even if your TSH blood results show that you are within the normal range you may still be hypothyroid. Doctors who only check this level are most certainly in some cases missing the diagnosis. I want to mention that the American Association of Clinical Endocrinologists lowered the normal range in 2003. Unfortunately, many doctors and labs still use the old outdated values. The new TSH values state that any level above 3.0 is considered hypothyroidism. The old value allowed the TSH to be as high as 5.0 and still be considered normal. Please note, this test only measures a stimulating hormone, so the higher the TSH level the more hypothyroid you are, meaning the more T3 your cells need. Old Range: 0.5 to 5.0 mIU/L. New Range: 0.3 to 3.0 mIU/L. This decrease has helped more people who are hypothyroid to be diagnosed, however we in functional and anti-aging medicine know that sometimes the TSH can be 3.0 but the patient is still hypothyroid. 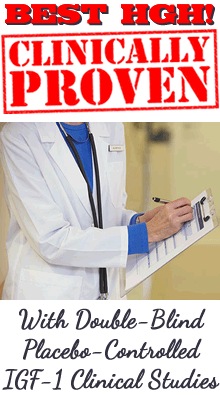 For this reason the best tests for diagnosing hypothyroidism are the Free T3 and Reverse T3. Some doctors may check the Free T4 but remember from above, the body must convert storage T4 into active T3, and only free T3 can be used by the cells. Some people have problems converting T4 into T3. A few doctors may check a Total T3. However, most T3 in the bloodstream is bound by protein and so is not available for use. We need to know how much of the T3 is "free" and available. Also, a reverse T3 test should be done at the same time as the free T3 test, since the free T3 test measures all free T3, both active and the inactive. If the free T3 level is within normal limits but the reverse T3 is high or on the high end of normal, that usually means that much of the T4 is being converted into unusable reverse T3. At this point the T3 ratio is very important and should be used for figuring out how much of the free T3 is usable. Since many doctors do not routinely check the free T3, and some may not be familiar with reverse T3, they may not understand the significance of these tests in diagnosing and treating hypothyroidism. Did you know? Thyroid function depends on healthy adrenal glands. Even if the thyroid gland is producing enough of its hormones the body will have trouble using those thyroid hormones without proper adrenal function. Thyroid and adrenal function go hand in hand. For this reason it is my opinion, and it is also the opinion of other functional and anti-aging healthcare practitioners, that those who are suffering with symptoms of hypothyroidism should have their cortisol and DHEA levels checked to help access adrenal function. Since cortisol is suppose to change throughout the day the cortisol blood test should be checked at least twice on the same day. The first blood draw should be at 8 AM, and the DHEA level should also be checked at this time. Then the patient should return to the lab on that same day at 4 PM for a repeat cortisol blood test. A more accurate way to test the adrenal glands is the saliva test that measures cortisol at 8 AM, 12 PM, 4 PM, and 8 PM on the same day in the convenience of your home. The DHEA level is checked along with the 8 AM test. Unfortunately, at this time there are no insurances that I know of that cover saliva tests. However, cortisol test kits may be purchased online. I very much recommend that anyone with thyroid symptoms do more research so they are well informed when they see their doctor. A safe homeopathic product used for decreased thyroid function due to aging.